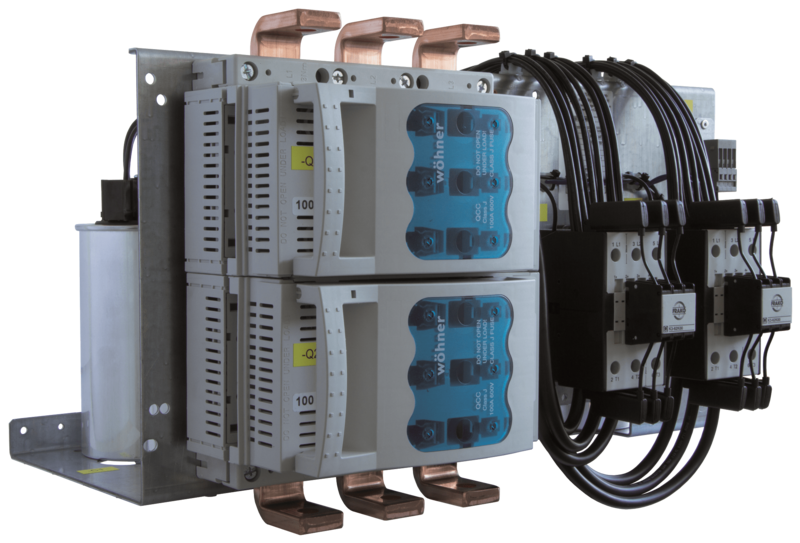 FRAKO C-Modules are ideal for UL508A Industrial Control Panel Builders to quickly assemble power factor systems. 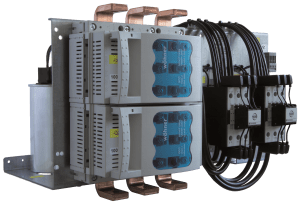 FRAKO C-Modules are pre-engineered power factor capacitor assemblies with everything you need including PF capacitor, cabling, over-current protection, contactors, fusebase (w/ or w/o fuses) and integral bus bars. The only options necessary to select are filter reactors and kVAR increments (steps). For the North America market, FRAKO offers C-Modules with all UL approved (CAN/US) components making it easy for UL-508A industrial control panel builders to assemble a UL-508A system. For any exports, FRAKO also offers an IEC version. Call us 1-262-618-2403, Email or visit our Contact us page for Application Engineering or Quotes. Call our office for Application Engineering or Quotes on Modular Power Factor Capacitor Assemblies.